If you are anything like us, we now have your undivided attention. 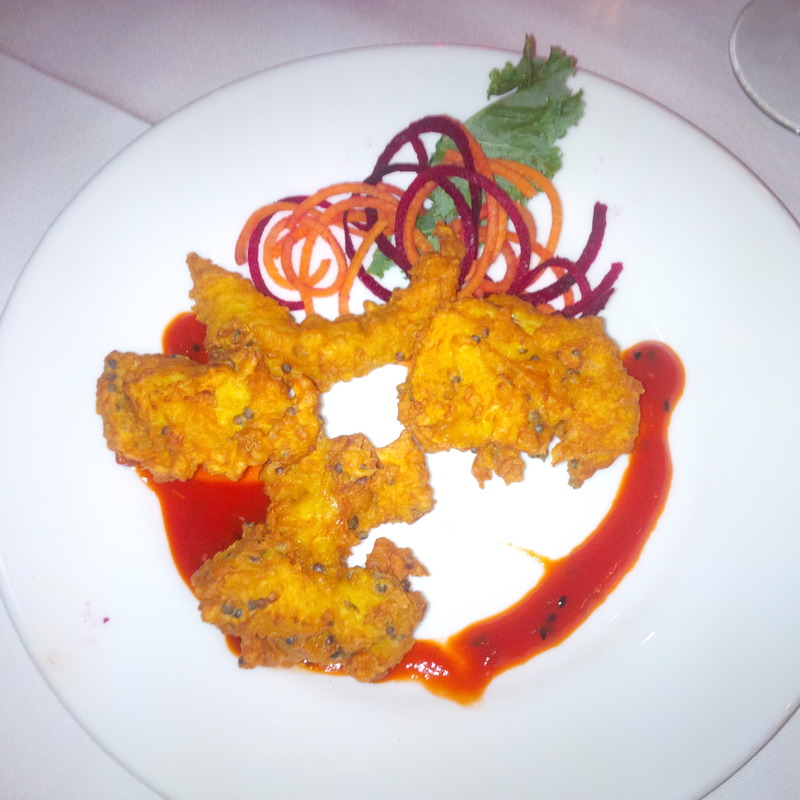 Brie pakoras were just one of the delicious dishes we sampled on a recent visit to Kamasutra Indian Restaurant and Wine Bar in Toronto. This is restaurant has been called one of the best Indian Restaurants in the city by Toronto Life and we were excited to check it out. So, where did the resto get it’s erm…memorable name? This is what they have to say about that: It’s some 1700 years since the worldly sage, Mallanga Vatsyayana wrote his epic Indian tale of love… The Kama Sutra. Written in ancient Sanskrit, (for the eyes of the ruling elite only), it’s a doctrine dedicated to the celebration of love. Having studied it from every angle (purely for culinary inspiration! ), we realize the words are, in fact, a metaphor for “the love of food”. Our culinary team has stayed true to the actual origin of each dish. No stone is left unturned in our quest to provide our guests with a remarkable dining experience. 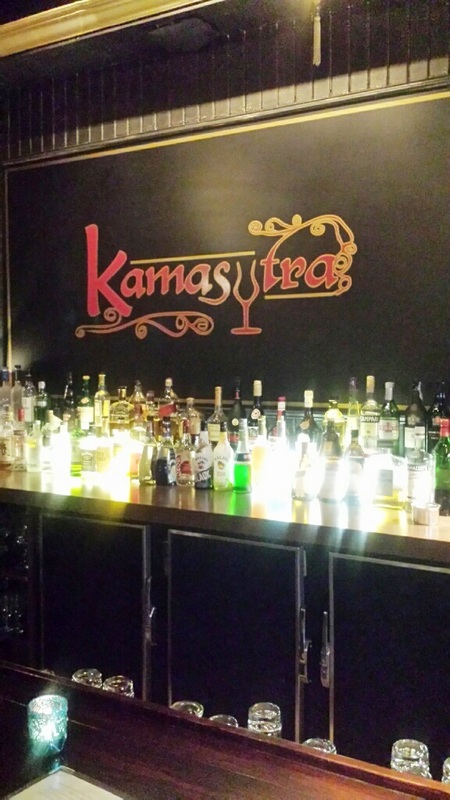 Kamasutra’s easy, contemporary take on tradition has hooked countless patrons. All will be revealed as you feast your senses over the candlelit cornucopia of exotic and evocative Indian cuisine. 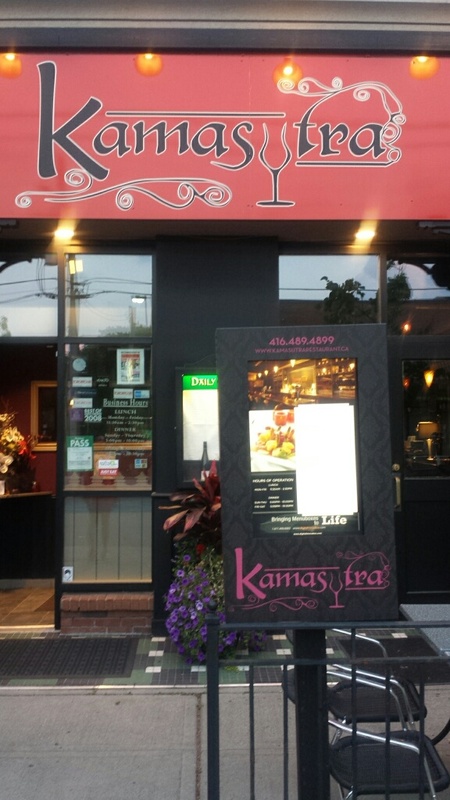 Kamasutra is located in the Leaside neighbourhood where there is no shortage of restos and cafes. They have a front patio for al fresco dining and people watching in this lovely district. 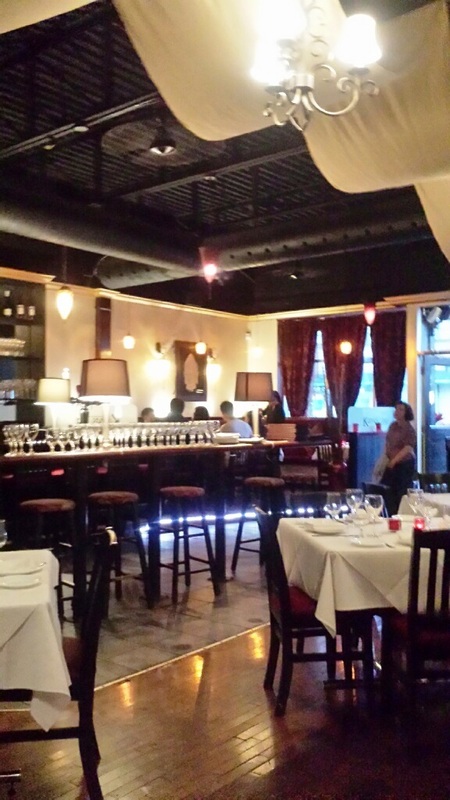 The restaurant is modern yet warm and inviting, decorated in rich burgundy and black hues. We were greeted and welcomed almost immediately upon entering Kamasutra by friendly host, Robert. We were seated and presented with menus right away. Through our meal, our server was friendly and attentive. He made thoughtful menu suggestions and answered our questions thoroughly and knowledgably. 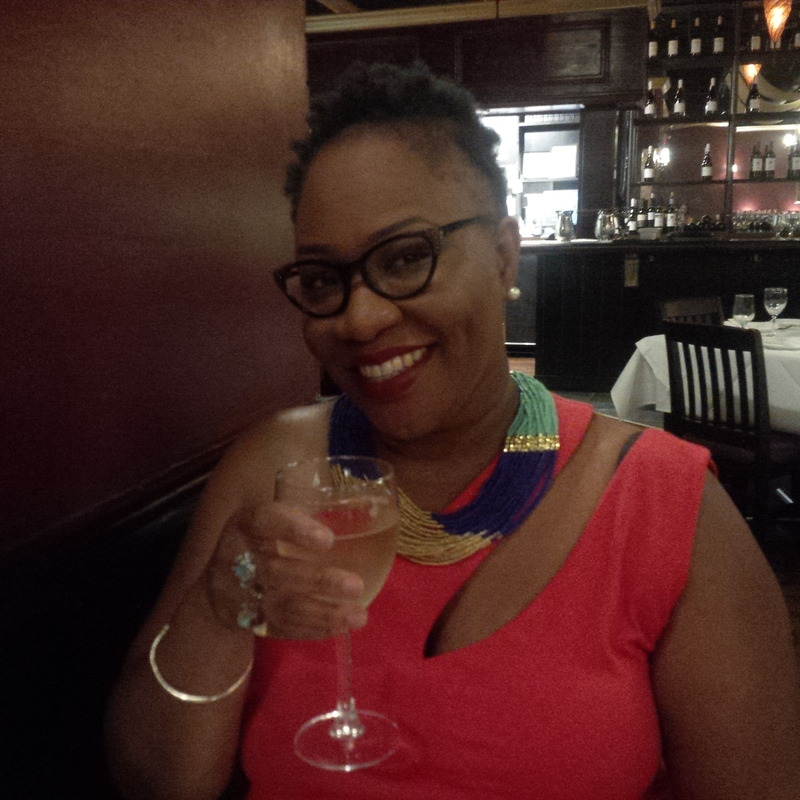 Service was prompt throughout the evening and drinks and water were replenished in a timely manner. At one point, Kamasutra chef came to our table to see how we were enjoying our meal. This is always a lovely touch and we welcomed the opportunity to praise his work through mouthfuls of delicious food. Mouthfuls of what food, you ask? Let’s get to that. Firstly, please know that we like to order a ton of food and pig out. Luckily there is no judgement in TNLand, right? 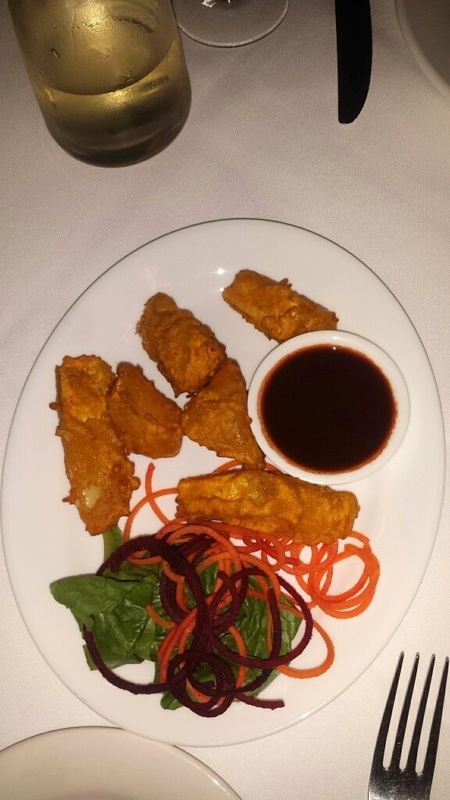 So, as we mentioned to get your attention, we started with brie pakoras. What an ingenious take on a popular Indian bite. Brie is our jam, so we were excited about this one. These nuggets of brie cheese come covered in golden delicious chickpea batter. They were as good as they sound, and we would return to Kamasutra for these alone! We also tried the Kerala crispy chicken. This was spicy crunchy crispy chicken from south of India served with tomato sauce garnish. Tasty and spiced to perfection. 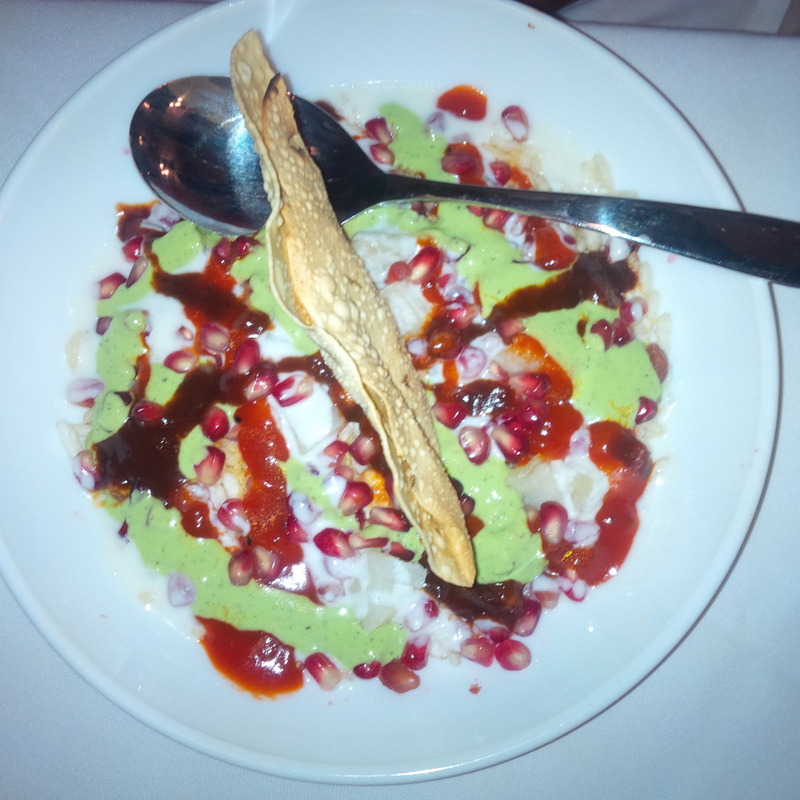 Another favourite of ours was the pomegranate chaat. Pomegrante ,puffed rice, dice potato, cucumber, tomato, yogurt, mint & tamarind chutney mixed into a delicious, crispy ,medium spiced appetizer. The flavours complimented each other perfectly. Yum! 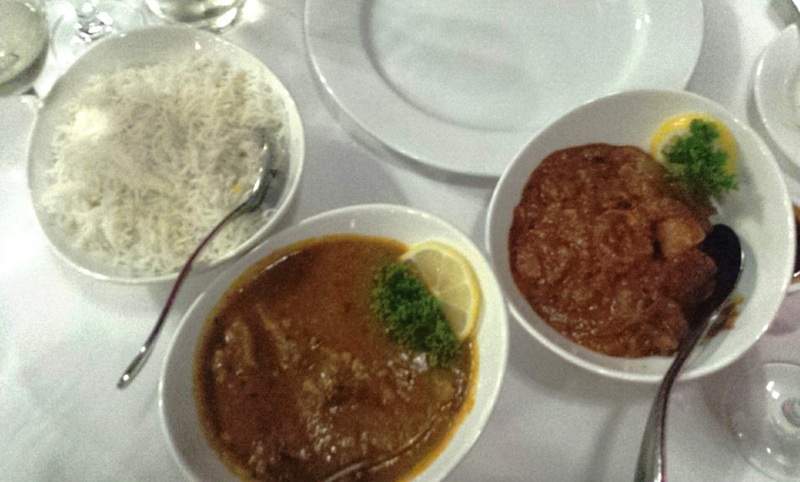 For the main event, we chose chicken tikka masala and fish with coconut sauce. Great choices; they had a kick and the sauces were especially tasty alongside basmati rice. And to cap off the delicious meal – dessert. 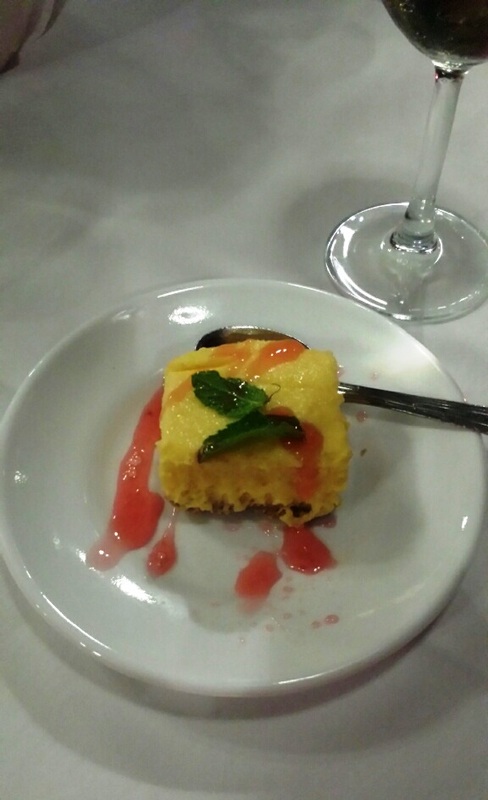 The house made mango cheesecake was flavourful and decadent without being overly sweet or rich. 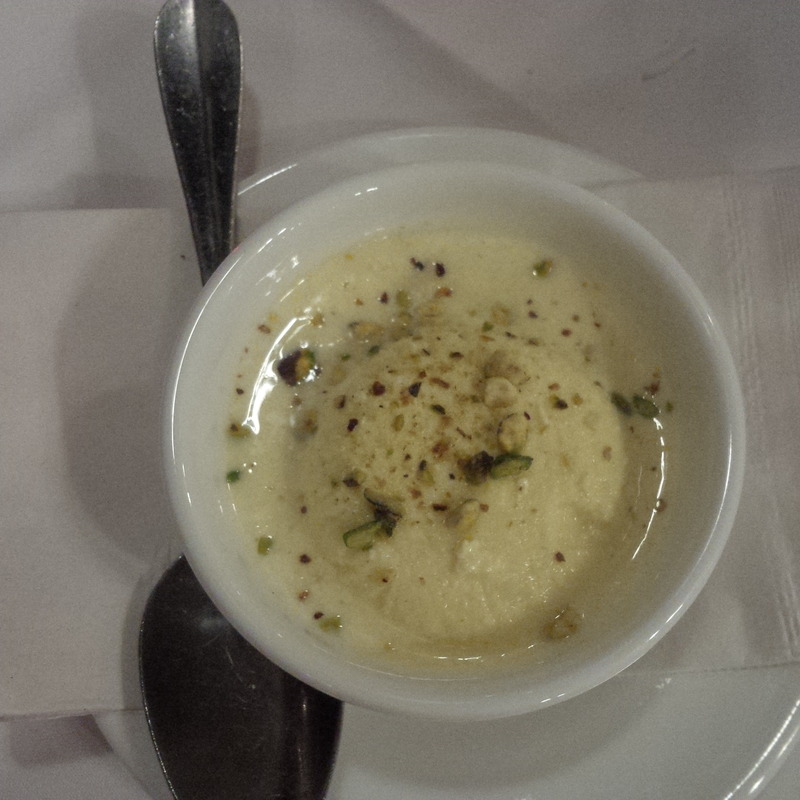 Traditionally Indian dessert ras malai was a refreshing end to our hearty meal. Ras malai is cream cheese flat cakes soaked in sweet milk syrup garnished with pistachio. Dinner menu items at Kamasutra are very reasonably priced, particularly considering the high quality dishes and obvious care in preparation and development of the menu selections. If you couldn’t tell already, we had a wonderful time at Kamasutra and would definitely return. 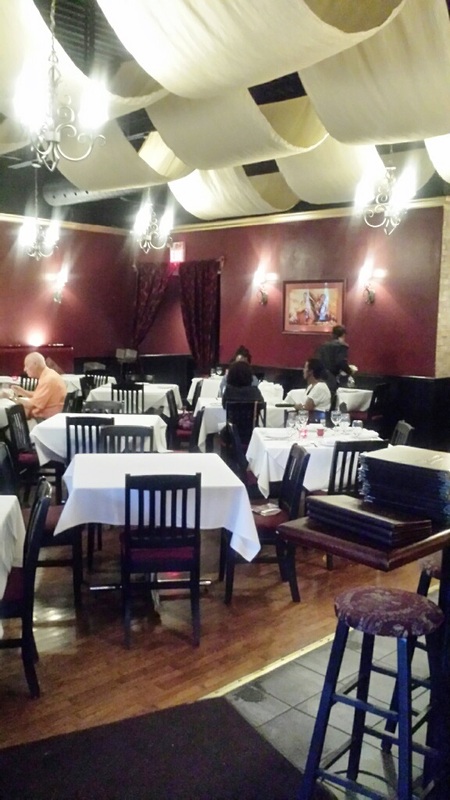 From beginning to end – service to food – the experience was great. 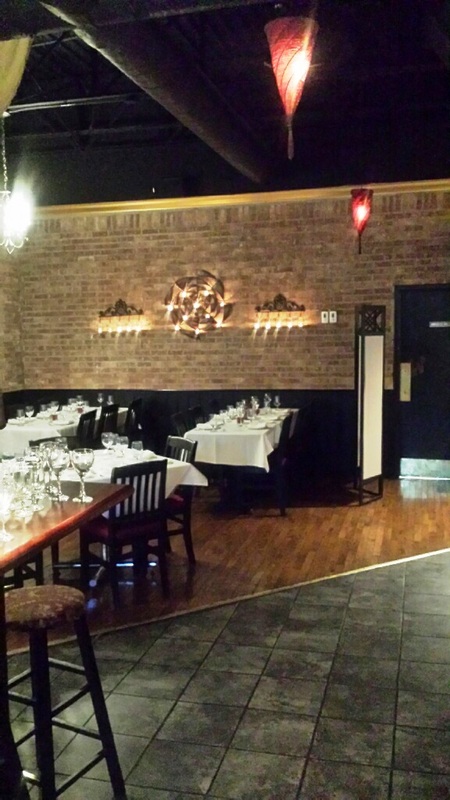 If you’ve been looking for a new Indian restaurant to try it, we recommend Kamasutra! 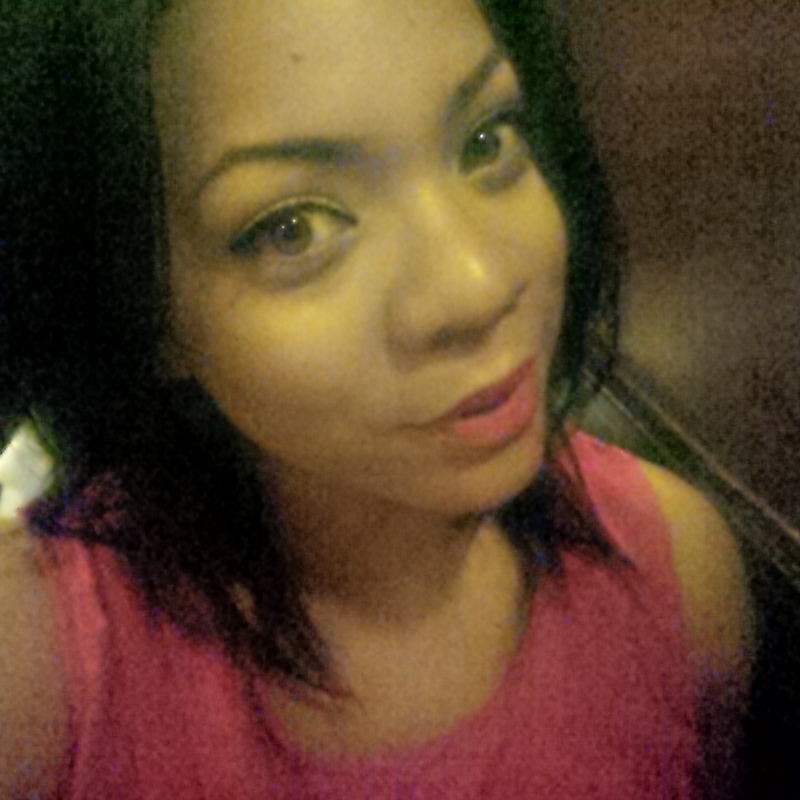 Kamasutra is located at 1522 Bayview Avenue (416) 489-4899. Everything looks so so good! Now I’m going to have to make butter chicken for dinner tomorrow.